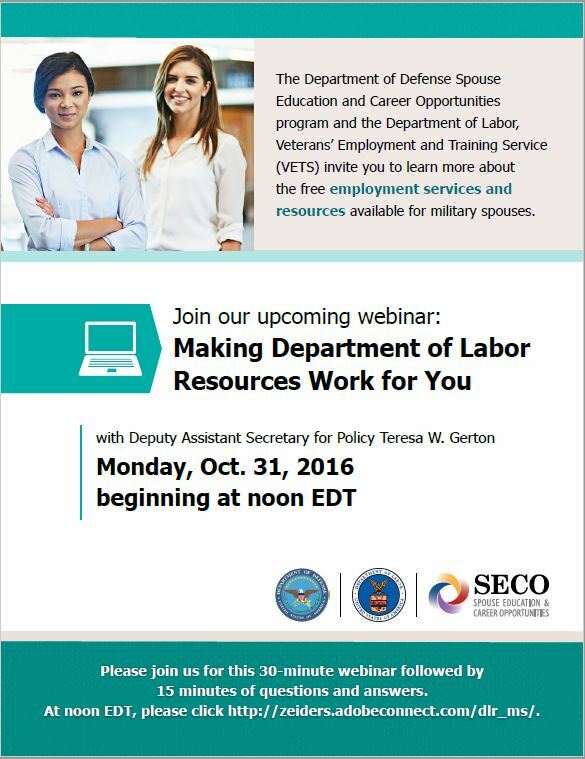 The Corporate Education Center from Western Dakota Tech will be offering a What Employers Want Seminar here at the Ellsworth AFB Airman & Family Readiness Center. 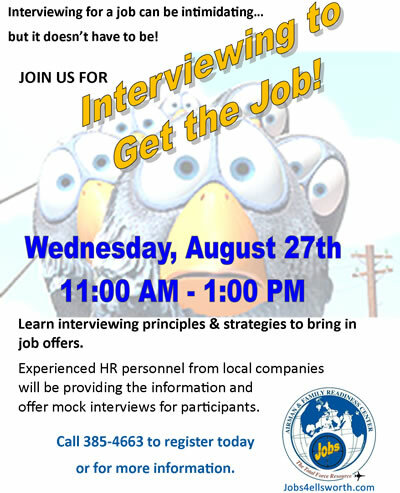 Attendance is FREE to all Ellsworth AFB community members. 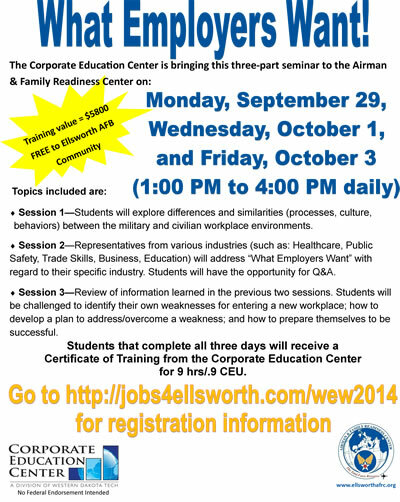 Visit https://jobs4ellsworth.com/wew2014/ for more information and to learn how to register. Deadline for registration is Wednesday, 24 September at 4 PM! Westhills Village is once again hosting a Certified Nursing Assistant Training program! Have you always wanted to forge into a career in the health care industry? Do you have a desire to begin a career where the rewards of taking care of others are limitless? If so, then Westhills Village has an opportunity for you! Currently recruiting for eight slots for a class (paid by Westhills Village) in September. Selected training candidates will also be offered a position, transition into that position at the end of the course, and receive a paid wage during the training!